Ah, DC, your perseverance never ceases to amaze me. Just when I start thinking that you’re a bunch of wimps, you go and do something to prove me wrong. It seems that no matter what gets thrown your way, you fight back. You’re fighters, not lovers, and on top of that you’re rich and smart! Is Congress still refusing to give you a vote and treating you like second class citizens? No worries – I know you’ll find a way to get up in their grill and make yourselves heard. 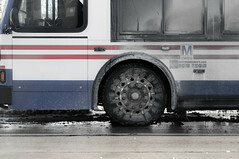 Is Metro raising its fares on you during tough economic times? Hah, you’ll show them. Is Mother Nature churning out record temperatures and throwing storms at you that knock your power out? Bring it! 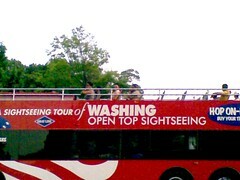 You just take your clothes off and ride around on a diesel powered, air conditioned bus. 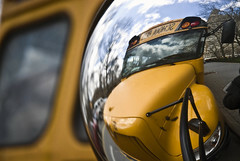 Is Matt Dunn shooting you with his old school cameras and lighting you up with his fill flash? Well, it appears you have no answer for that, but it’s OK. Really. It’s OK.
Metrobus operator Dwayne Adamson was arrested by Metro Transit Police after pulling over the bus he was driving in the 2900 block of Minnesota Avenue, SE. He was arrested after allegedly pulling a knife on another motorist following a traffic dispute around 5 P.M.
Adamson was operating bus 2533 on the U2 route in Southeast. He has been a bus operator for three years. Here’s a heartwarming video for a snowy day. Yesterday, the BBC ran a piece on The Farm to Family Bus, a farmers market on wheels that serves neighborhoods in Richmond, often in low-income areas, that don’t have easy access to grocery stores and quality, organic food. The piece also highlights Josh Viertel, president of Slow Food USA (and there’s a DC chapter), speaking to a group of slow food advocates in DC. A great idea, that — to bring healthy food to those who may need it most. Not Full strength, mind you, as Metro Access is closed today except for medical trips for dialysis, etc, but buses and trains are all running today, to all stations. They dug out 106 miles of track below the 8″ mark to let trains pass safely, and thanks to the works of the DDOT Plows, the bus routes are clear enough for passage. Be safe out there. 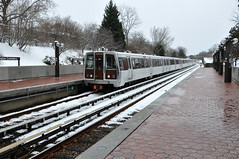 DC has a great Metro system: it’s (generally) reliable, clean, fast, and connects many major destinations in the city. But we love to complain about our commutes– being crammed like sardines on the train, being stuck in Metro stations so full that you can’t even get down the escalator to the platform, and having buses pass right by your stop because they’re already packed to the brim with riders. Experiences like these make many people think that they’ve got it worse than anyone else in the area– that they’re stuck riding the busiest line, getting off at the busiest station, or riding the busiest bus. But there’s a lot of misinformation out there about Metro’s most crowded lines, stations, and buses, so I’m going to set things straight this week. 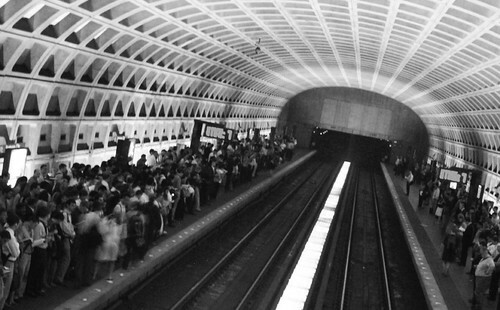 Update: WMATA is slowly bringing back services. Metrobus fareboxes and bus radios are back in operation, MetroAccess dispatch and online reservations are working, and this morning I heard a public address system test. More info from this WMATA release. 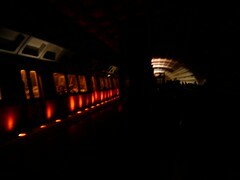 Tags: bus, dc, Failure, Metro, metrobus, metrofail, metrorail, power, WMATA, WTF?! 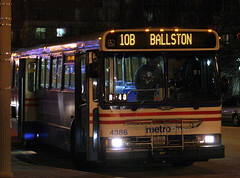 The Metro board is expected to approve the sale of the Ballston bus garage property for $25 million at their 9/24 meeting. At just over 4 acres, it will become part of the property that will be home to the new DARPA building. Check out the past WLDC article about the building here. Talk about a way to make some quick cash! Does this mean no fare increases for a few years? Hah. Right. This is from yesterday afternoon. 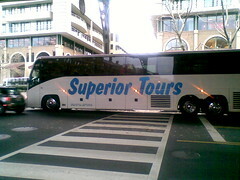 Hey Superior Tours of Baltimore, MD, thanks for blocking the K Street crosswalk to Washington Harbour so thoroughly that I had to walk about halfway to Key Bridge just to get around the back, where I was promptly blown with hot bus exhaust. 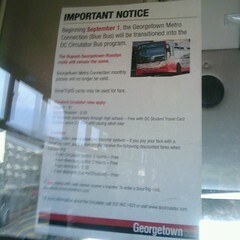 Tags: bus, crosswalks, Georgetown, jerk, pedestrians, superior tours, Talkin' Transit, washington harbour, WTF?! Alexandria, News, Talkin' Transit, The Daily Feed, WMATA, WTF?! 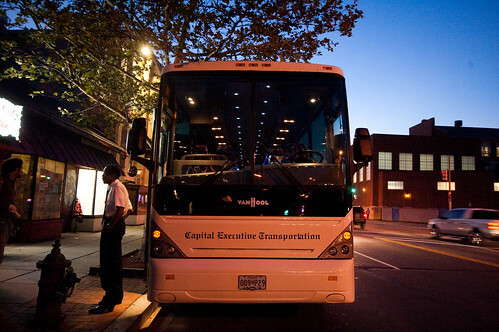 From WaPo: Open Top Sightseeing, purveyors of double-decker bus tours, has suspended its Nationals shuttle service after two people were killed standing on the upper deck as the bus went through an underpass. Condolences go out to the families of those killed. It’s unclear if there was sufficient clearance for the bus, or if the two guys who died were standing on the floor or on their seats, and the whole thing is being investigated; but I think we can all agree: don’t stand while riding the upper deck, and if you are standing, for heaven’s sake please sit down if you see a tunnel or bridge approaching.